Okay, now this one is great. 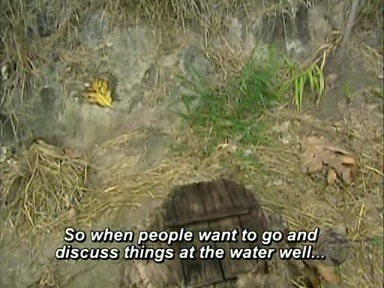 This is just a quick and dirty little scene from episode 13 of Survivor: Fiji, but again, if you are into irony as much as I am, I am sure you will appreciate it. 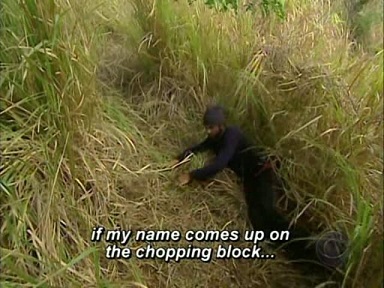 For me, this entry ranks right up there alongside Courtney's Rock Garden Tribute and Analytical Dan as the best moments* of unintentional irony on the countdown. * non-Coach moments, of course. Coach has about a hundred moments like this. Care to explain it to us, Boo? 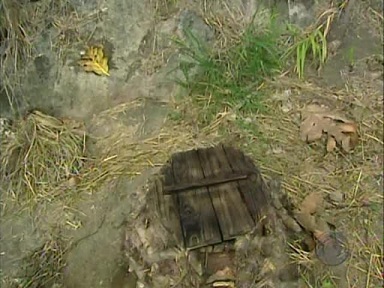 "I'm making a back path to, uh, the water well." 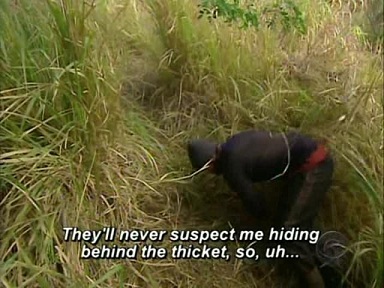 Not to mention pretty sneaky and fun? "I can't wait to try it out." 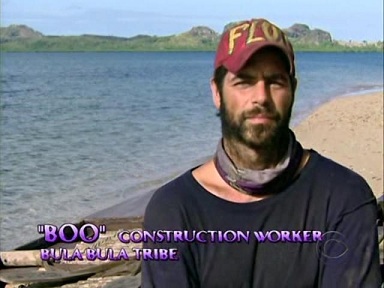 Boo Bernis, the scholar of scholars, the smartest person aside from Heidi to ever play Survivor, has created his path. He has outwitted the system. He has outplayed the other players. He has defeated the game. 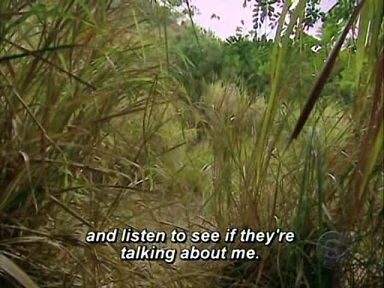 Never again will the other players in Fiji be able to talk about blindsiding him. Well what do you think the other players are talking about back at camp? 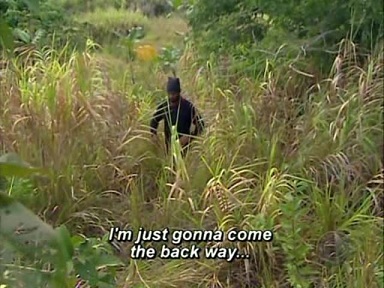 You know, while Boo is spending all day by himself, creating his anti-blindside path? 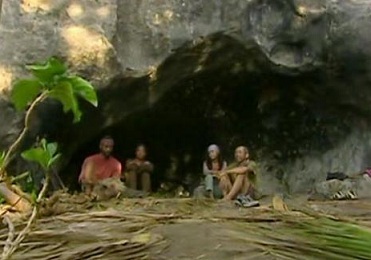 What do you think the other players are talking about now that he has left them alone for the day? "We need to blindside Boo." At this point I believe the *smuff* is pretty much implied.